ESET Antivirus and Mobile Security combines our award-winning heuristics engine with antispam and... Created by ESET, spol. s.r.o. ESET Antivirus and Mobile Security combines our award-winning heuristics engine with antispam and firewall solutions to provide real-time protection against known and emerging threats – all without impacting performance. And, if your device is ever lost or stolen, ESET Mobile Security delivers advanced anti-theft features to help protect and recover your information. Delivers comprehensive protection for your Windows Mobile and Symbian smart phone. ESET Mobile Security was added by em4020 in Sep 2010 and the latest update was made in Apr 2018. The list of alternatives was updated Oct 2018 There is a history of all activites on ESET Mobile Security in our Activity Log. It's possible to update the information on ESET Mobile Security or report it as discontinued, duplicated or spam. Alternatives to ESET Mobile Security for Android, Android Tablet, iPhone, iPad, Windows and more. Filter by license to discover only free or Open Source alternatives. This list contains a total of 25+ apps similar to ESET Mobile Security. 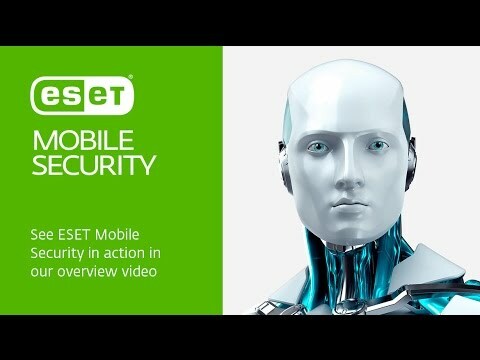 No reviews yet for ESET Mobile Security, want to be first? Maybe you want to be the first to submit a comment about ESET Mobile Security? Just click the button up to your right!